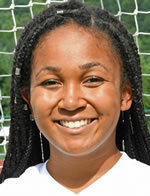 4 Lady Hornets named to NTL All-Star Soccer team. Lady Hornets end regular season with win over Sayre. Lady Hornets fall to Troy on soccer field.